San Diego Yacht Club will host 30 boats in bi-national regatta. SAN DIEGO — Some of the most recognizable names in competitive sailing are expected to participate in the upcoming 2018 Vallarta Race, a biennial regatta hosted by San Diego Yacht Club. This year’s race, which begins March 1 at Shelter Island, is expected to be one of the largest the regatta has ever witnessed, according to organizers. The lineup is expected to feature 30 boats covering about 1,000 nautical miles between San Diego and Puerto Vallarta. Entries have come in from California, Mexico, Texas, Michigan, Maryland, Rhode Island, Nebraska and Peru. The fleet is expected to consist of Mighty Merloe, Rio100, El Cabrón, Bakewell and Fractions. At least two entries are seeking to be the regatta’s first-ever three-time winner: Blue Blazes (2006, 2012) and Peligroso (2008, 2010). 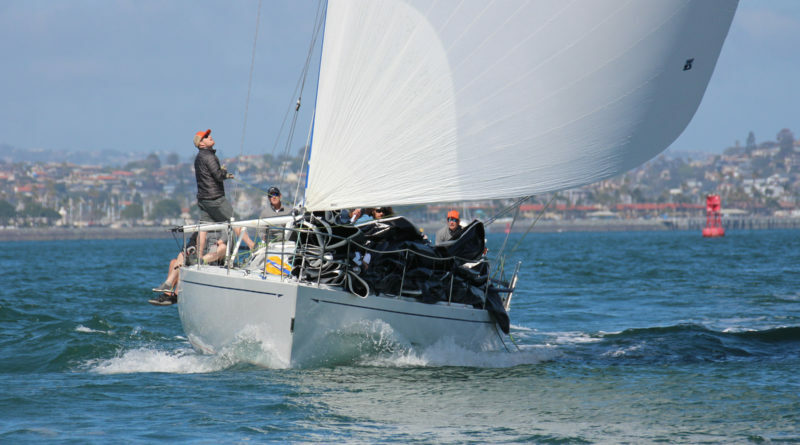 Racing starts March 1 out of San Diego’s Shelter Island, with the three-day race continuing south toward and to Puerto Vallarta. The first day is open to cruisers, while all other classes hit the water on March 2 and 3. Teams will finish the race at Punta Mita in Puerto Vallarta’s Banderas Bay and be greeted by food, drinks and a mariachi band. A cocktail party is planned for March 8, followed by an awards party at the Westin Puerto Vallarta, March 9. Another regatta – MEXORC – will be held at Puerto Vallarta on March 10; some of the Vallarta Race participants are expected to enter in MEXORC. A unique element of this year’s Vallarta Race: the lack of a physical finish line. All finishers will instead cross a “geofence,” or a digital finish line. The line will virtually exist between Punta Mita and Islas Marietas. YB Tracking will offer friends, family and the sailing community at-large to track the race as teams travel south. Trackers will be updated hourly, with positions revealed on a four-hour delay. Updates will also be available on pvrace.com and on Twitter; the Twitter handle is @SDYC1886.